FedEx Corp. (FDX.N) fell after cutting its annual profit forecast for the second time in three months on slowing global growth and rising costs from a 2016 acquisition in Europe. Additional cost-cutting moves are under consideration to contend with lower-than-expected sales, FedEx in a statement Tuesday. The courier already announced a a U.S. employee buyout in December that’s expected to save as much as US$275 million in 2020. “Our third quarter financial results were below our expectations and we are focused on initiatives to improve our performance,” said founder and Chief Executive Officer Fred Smith in the statement. 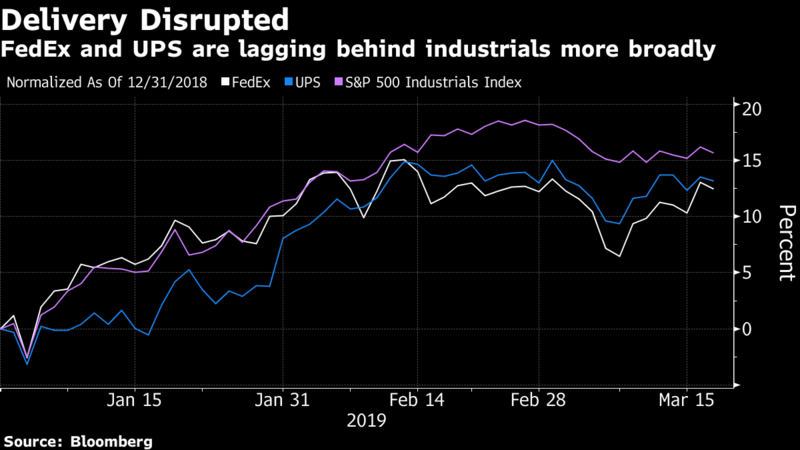 At a time when package-delivery companies are reaping the benefit of an e-commerce boom, the disappointing outlook fueled negative sentiment on the stock. FedEx has already been grappling with two surprise management changes in the last three months, including the February replacement of Chief Operating Officer David Bronczek with Raj Subramaniam. FedEx fell five per cent in after-hours trading to US$172.30. The stock has risen 12 per cent this year, recovering some ground after a 35-per-cent plunge in 2018 —the biggest drop in a calendar-year since 1987. The Memphis, Tennessee-based courier said adjusted earnings would be US$15.10 to US$15.90 a share for the fiscal year ending in May, down from a previous forecast of US$15.50 to US$16.60. The outlook excludes expenses for integration, lawsuits, employee buyouts and other items. As recently as September the company had seen annual earnings per share of as much as US$17.80. 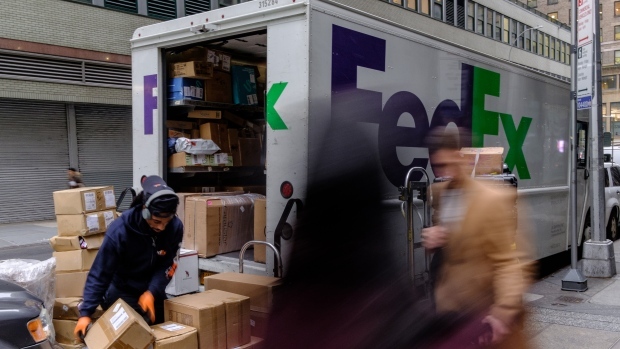 Earnings for the quarter ending Feb. 28 were US$3.03 a share, FedEx said. That’s below analysts’ estimate of US$3.12, which had fallen 10 cents US since mid-January. The company purchased TNT Express, a Dutch courier, in May 2016 for US$4.8 billion. Plans for integrating the company were knocked off kilter when a global cyber attack in 2017 caused customers to drop the service. FedEx on Tuesday said integration costs for that acquisition are expected to exceed US$1.5 billion through fiscal year 2021, and additional costs may be incurred.